determining the price you will pay. Often newer homes will come with lower premium since everything in them is in perfect shape. Newly renovated homes can also qualify for a reduced premium since they will be in excellent condition. The amount of the renovation will play a part in the size of the discount you can expect to receive. When buying an insurance policy you will not need to include the value of the land in your policy. The land on your property cannot be destroyed or lost so there is no need to insure its value. The higher the value of the properly the higher your premium is likely to be. A building that is secure will cost less to insure. Installing a home security system can save you as much as five percent on your home insurance policy. Some advanced security systems can save you as much as twenty percent on your policy. Think about the cost of the system and how much you will really save on your insurance policy. These systems can be quite expensive and it may not give you enough of a discount to pay for its cost. Another way to save money on your building insurance premium is to have a higher excess. This is the amount you would have to pay in the event that a claim was filed against the policy. One of the smallest excess available may be for £250. You can save as much as twelve percent on your policy each year if you were to double the amount of the deductible to £500. Bumping your excess up to £1000 can save you even more money on your premium. There are many different types of home insurance products on the market these days. When comparing policies there will be several things to look, including whether or not the policy will cover the cost of rebuilding your home using all new materials. 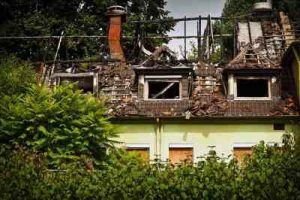 You want to know that your insurance company will help to restore your home should anything happen. When buying a policy make sure that you take the time to read through everything completely to make sure you have the type of coverage that you really need. When purchasing insurance for your home there are many different policies that you can choose from. Some will just cover the building while others will cover the contents and fixtures as well. Home building insurance will cover the structure including the widows, walls, and any other structural parts of the home. Home content policies will usually be more expensive and include all the items that are inside the home as well including personal affects. House contents insurance can be a welcome addition to your home building insurance plan. It will help to replace items lost or damaged in the case of a break in. Home building insurance will help you to replace or repair the structure of your home in the case of flood, fire, hail, or other natural disaster. You can have your home repaired by only paying for the amount not covered by the excess. For most people their home is one of their biggest investments. It makes sense to do whatever you can to protect it and care for it. Purchasing home building insurance is an important part of making sure you can continue to live in your home even if it is hit by some sort of disaster. When buying insurance make sure you purchase a large enough policy to really replace or repair your home if you should need to. When looking at the products offered by different insurance companies, price will definitely be important, but do not let it be the only factor that plays a role in your decision. Often home building insurance is necessary in order to obtain a loan for your project. If the policy that you currently have is insufficient or with a company that is not offering you the level of service that you would like then it is time to shop around. Make sure you consult with your mortgage lending company before making any changes in your house building insurance. Often they will have requirements that need to be met by your policy. Often the policies offered by mortgage companies do not offer you the best value for your money. The house building insurance that you select will need to protect your home in a wide variety of events. Some of the things a good plan will cover include lightning, floods, robbery, plumbing system failures, oil heating leaks, damage from falling trees, and any other destruction of your property. Many companies give you the option of obtaining a quote online. When requesting a quote it is important that all the information you submit be up to date and accurate. Submitting false information can cause your policy to be cancelled when you need it most. While you may get a lower premium initially, it will all go to waste if the policy was issued based on false information that you provided.